The best of girl-on-girl cinema at Three Dollar Bill’s 18th Annual Film Fest: exactly what to see, where to see it, and when it’s showing. From “Serious Documentaries” to “Über Indie Favorites,” The Seattle Lesbian has put together a guide for lesbians at The Seattle Lesbian and Gay Film Festival this week. 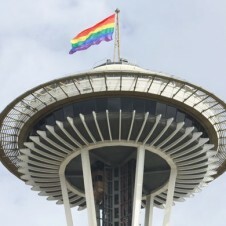 The Seattle Lesbian online magazine reaches more than 188,000 readers per week globally. Posted October 15th, 2013 & filed under Travel. Anchor & Hope Watch now! Lesbian.com strives to bring together the best and brightest of the lesbian world for the empowerment and benefit of lesbians worldwide.